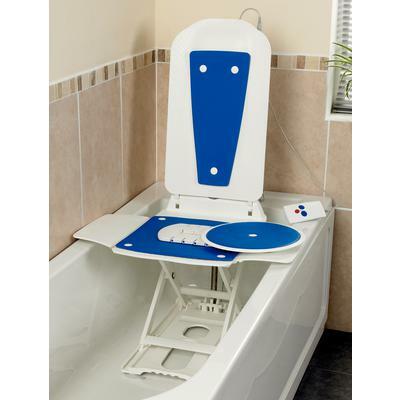 Bathmaster Deltis Bath, Simple Lift Bathing Assistance. High quality materials and construction offer the utmost in safety and comfort with no servicing required. 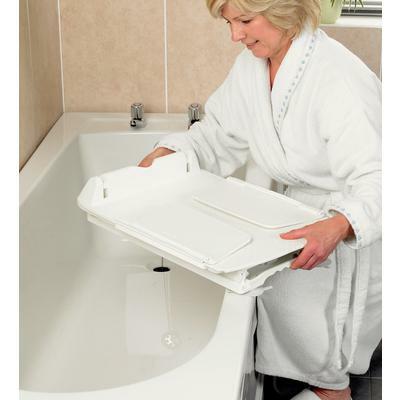 One of the lightest reclining bath lifts available, The Bathmaster Deltis is easy to assemble with no technical knowledge required. With built in convenient holding points and the heaviest part weighing just 6.8kg (15lbs) transport and storage become effortless. The all plastic construction is modern, easy to clean and free from corrosion. 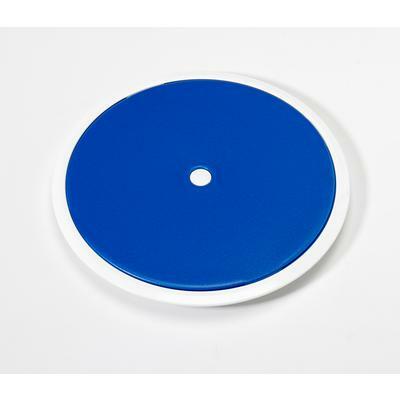 Designed to be strong, stable and durable, it gives confidence to the user and ensures hassle free, long term usage. 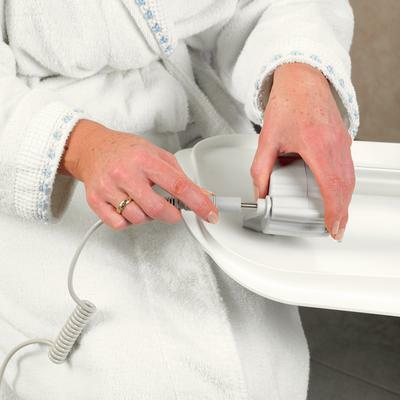 The compact frame of the Bathmaster Deltis is suitable for nearly all bath tubs, yet maintains a high level of stability when in use. 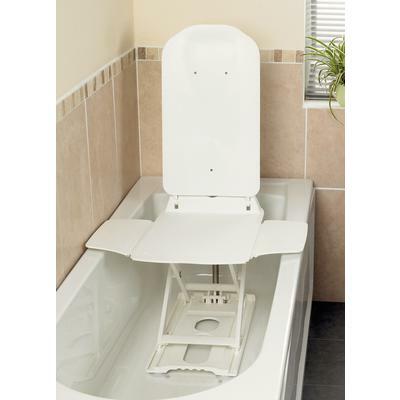 Large side flaps allow easy transfer in and out of the bath and optional swivelling seats are available for those requiring additional assistance. Latest battery technology ensures high performance and the small, lightweight hand controller is simple to use and floats when not in use, enabling easy recovery if dropped into the water. The lithium ion batteries have no memory effect and very low self-discharging, giving improved performance and battery life. The latest software allows gentle charging, further preserving the batteries. Bespoke, service free motor gives long term durability. Fully waterproof with no built in circuit board, the motor has been specifically designed for long term protection against failure or damage. 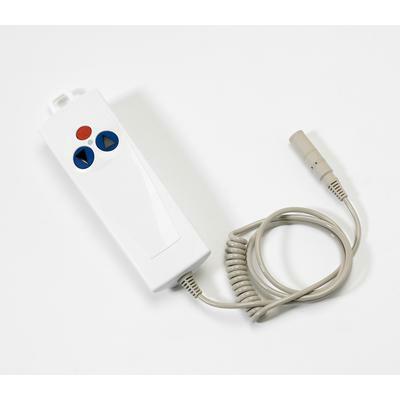 The hand controller plugs directly into the top of the motor ensuring there are no leads from the motor that could be damaged during transportation of the unit. Supportive, reclining backrest offers ultimate relaxation. The gently contoured seat and backrest give both comfort and support when lowering and reclining. The user selects their preferred angle of recline between 10° and 40° allowing optimum positioning for their requirements. The four year guarantee gives you peace of mind and protect against defects in materials or workmanship, the user can be reassured that the bath lift will be in full working order when they need to use it. Comes complete with: Bathlift, Hand Controller, 1 Hour Recharger, Side Flaps and 2 Side Flap Protectors. 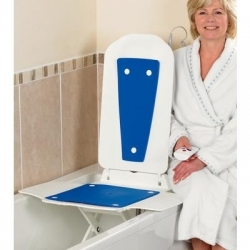 Very good quality product, I bought this to help me get into the bath as I struggle with arthritis. 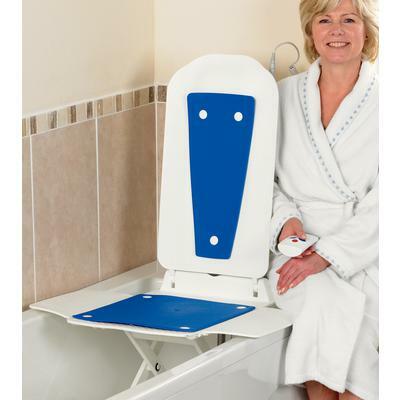 This bath lift appealed to me as it reclines and has slightly padded covers , this has transformed my life as I can now relax in a hot bubble bath , Bliss! !